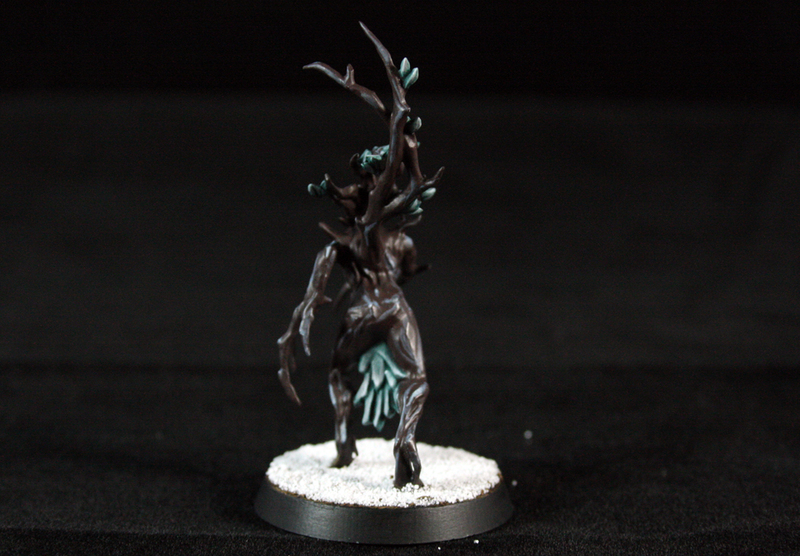 Something entirely different for you guys today; a Sylvaneth Dryad! She's a test model to see if the painting scheme, I got from the "How to Paint Citadel Miniatures: Dryads" guide, works. The winter theme really appealed to me and the dark bark just pops off of the snowy base. 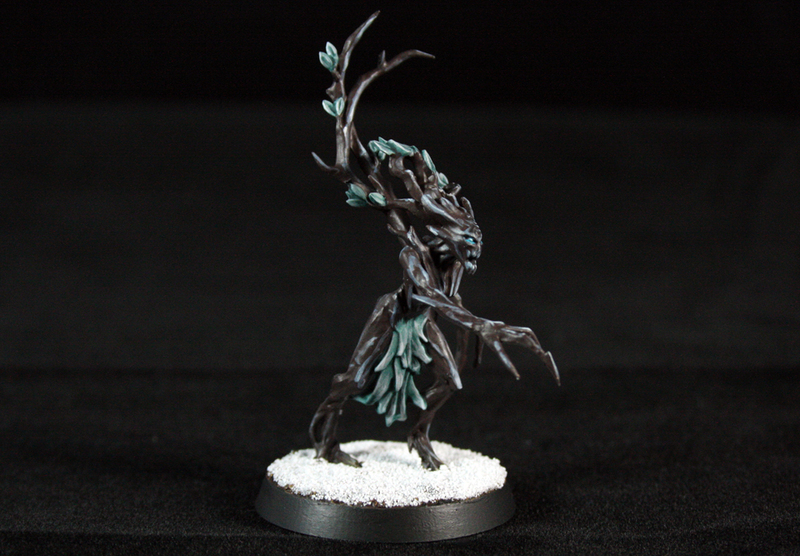 The scheme was very easy and quick to do. I've spend 2-3 hours in total on this girl and I'm very happy with that! Now I can look forward to paint the rest! The Sylvaneth will side with my Seraphon/Lizardmen. I have some fluff floating around in my head on how these two factions came together. Will post some stories in the future! 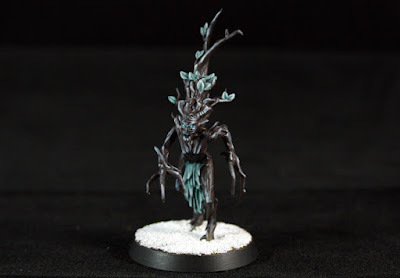 A little nitpick; not at all pleased with the snow from the Army Painter. The snow is very grained and just doesn't look very much like actual snow imho. So I'm looking for a better alternative, any ideas guys? I did go a bit overboard with covering the entire base though. Ah well, a lesson learnt. I like him, i really struggle with getting wood to look like wood but you have really done well there. The dryad models are quite nice, elegant yet full of menace! For the snow I would recommend that you try mixing the snow powder with some pva and then just sprinkle some powder on top of it. And thanks for the tip! I saw some tutorials that did the same technique you describe so will definitely try that out. But first, I have to get some better snow, Army Painter snow looks like sugar! Fortunately some one directed me to Woodland Scenics and their snow looks fantastic!